For decades, dogs have been a loyal companion to humans. They’ve been at our side and have been integral parts of our culture, helping us with many things including hunting, protection and the management of small critters in our towns. As our human relationships with dogs have developed, so have their utility and skillsets for us as humans. 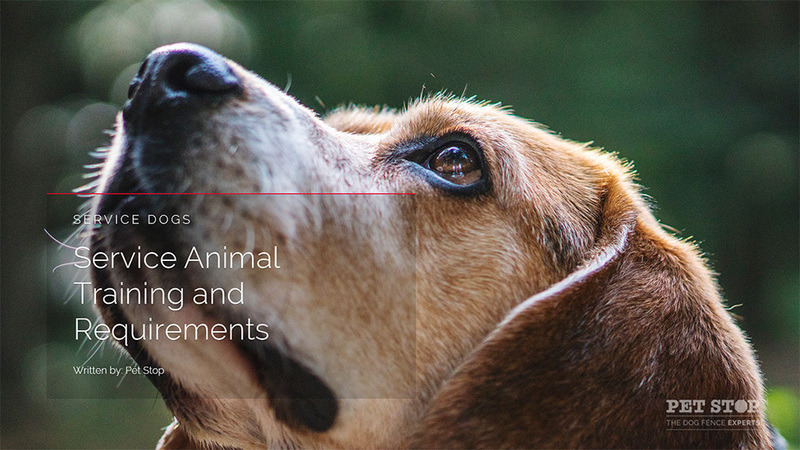 In this article we’ll discuss a service animals in detail from what they are, how they help, which breeds of dogs are most commonly chosen and why, assessing, training and service animal certification. One thing to note is that not all therapy dogs are service dogs. Service dogs are different from emotional support dogs. The reason is because service animals need to undergo rigorous training in order to successfully complete certain tasks for people with disabilities. On the other hand, emotional support animals don’t need to complete or perform specific tasks, they just need to be present to provide the emotional support, stability and love required to help comfort their owner. Let’s explore some of the various aspects of a service dog. Definition: Simply put, a service animal is any dog that is individually trained to do work or perform tasks for the benefit of an individual with a disability including a physical, sensory, psychiatric, intellectual or other mental disability. Helping people who are blind or have poor vision. Now in order to have a service animal, it’s important that you fully understand the ADA or Americans with Disabilities Act so you’re aware of the regulations and laws surround having one. The ADA states that Service Animals are working animals, not pets. The purpose of having a service animal is that they’ve gone under special training to provide service to someone with a disability. Dogs whose sole function is to provide comfort or emotional support do not qualify as service animals. Now that we have a better understanding of what service animal is, let’s dive into the most popular breeds of dogs that serve as service animals. While almost any breed of dog can be a service animal if trained properly, there are a few outperform other breeds in terms of trainability and overall performance when it comes to being a service animal. 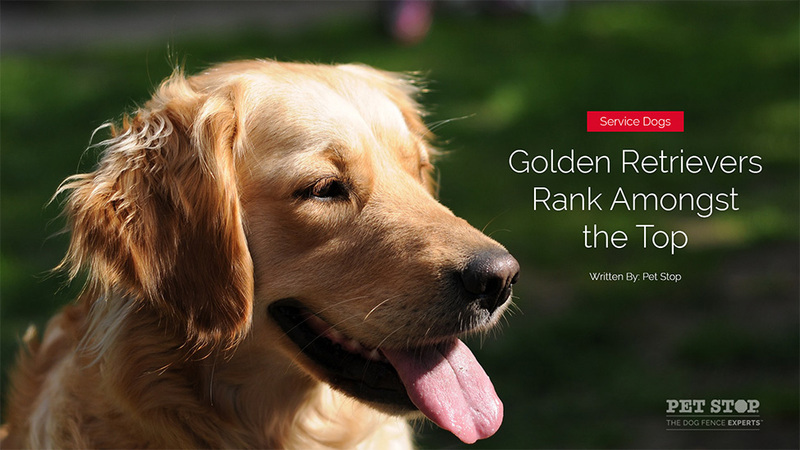 Perhaps the most well known service animals are Golden Retrievers. You’ll often seem them with those who are hard of hearing or have poor sight. Their kind and gentle temperament make them wonderful service dogs. They’re also friendly towards children. They help provide good emotional support and are helpful in providing support to people with autism as well. German Shepherds are the pinnacle of service dogs. You’ll find them serving almost every institution including police, military and fire teams during search and rescue. They’re suited well as being guide dogs and they provide great balance as a service dog overall because of their size, strength and trainability. As dogs, Collie’s are highly intelligent, loyal and friendly. They’ve been shown to help detect seizures in advance. Their most popular purpose serves in their ability to assist with seizures. They’ve been known to be called seizure alert dogs. In addition, they’ve been helpful in providing emotional support for people with anxiety and PTSD. These loving gentle giants are great service animals because they can help with a variety of different tasks including mobile support for people in wheelchairs, retrieving medications and opening the door for emergencies. They have a great temperament and have a good intellect which makes them trainable and obedient. These dogs can make life much easier for those who are requiring a service pet to provide mobility and emergency tasks. While you may not associate Poodles as a service dog, they have the skills and ability to help detect food allergens through their extreme sense of smell. For people with life threatening allergies, a poodle service dog can be a lifesaver. They can also help people with mobility issues by helping them pick up dropped items, opening doors and turning lights on and off. Yes, even these cute little fuzz balls can be service pets! Pomeranians are known to be great medical alert dogs. They can help you detect if you are diabetic, hypoglycemic, having an asthma attack or a heart attack just to name a few. People who have hearing issues will especially appreciate pomeranian’s as they have been known to be great hearing dogs. They can help with things like knocks at the door or a ringing phone. They help people with hearing issues know when to pay attention. Training a service dog requires a variety of steps and can be a long and difficult process. However, don’t be discouraged, with enough commitment, time, training and the right trainer, you too can certify your dog to become registered as a service animal. In order to become a service animal, dogs must perform a variety of tasks and commands that are need for the Assistance Dogs International Public Access Test, a series of objectives designed to evaluate the dog’s behavior in distracting environments. These organizations have very high standards and the dropout rate for organization trained service dogs can be as a high as 50-70 percent! If you’re looking to train your dog on your own, it’s wise to seek out a professional trainer that can help. A good place to look and consult with would be the ADI or Assistance Dogs International. They can help you find a reputable and authentic trainer who is familiar with the various laws and training methods required for service dogs. And again remember, that service dogs must be trained in specific skills pertaining to the handler’s disability in public access skills. They must be house trained and well trained in public. There are a variety of skills that can be taught to dogs who are training to become a service animal. Here are a list of them by category and skillset. Pretty amazing stuff! As you can see, service animals can help perform just about any daily task that someone might need to support their quality of life and standard of independence. 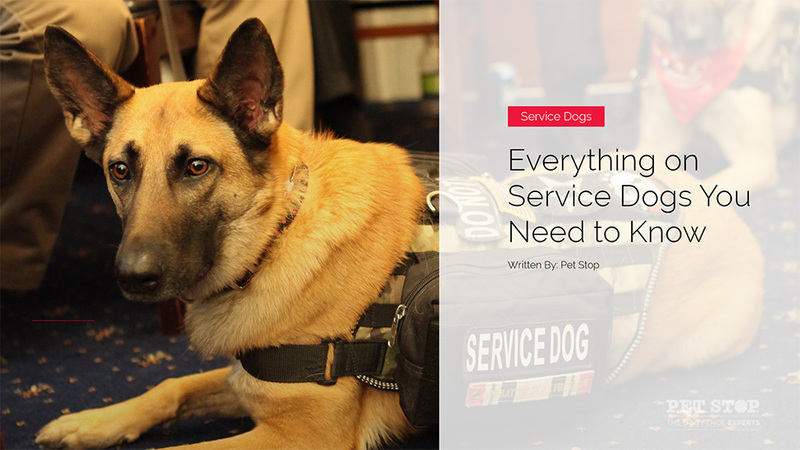 As you might imagine, service dogs aren’t cheap. Their training can cost an upwards of $25,000 and can take up to two years. Typically organizations will charge fees ranging within a few thousand dollars of this and it doesn’t include the additional expenses such as food and veterinary care. What’s important to note is that some of these organizations may offer financial aid for those who cannot afford it, but need the aid. It’s also recommended that the owner work with a professional trainer for the life of the dog to ensure working reliability. Assessing Your Dog – is Your Dog Qualified to be a Service Dog? Not every dog can become a service dog, it requires a specific set of qualities, temperament and intellect. Speak to a professional service dog organization or trainer and set up a consultation to determine whether your dog has the potential to become a service animal. The definitions of each of these assessments can be found here. Because service dog registration is self-regulated in the United States, you just need to find a reputable service like The United States Service Dog Registry and register your dog. They will help ensure canine competency and any future situation where your dog or you might be questioned. Always ensure that you choose a proven and backed service when registering your service animal to prevent any legal issues down the line.